Is it possible for humans to live for 200 years, or even more? It seems improbable without some kind of freakish genetic modification, but this isn’t necessary according to ancient wisdom in the Bhagavad Gita, and the Tirukkural. 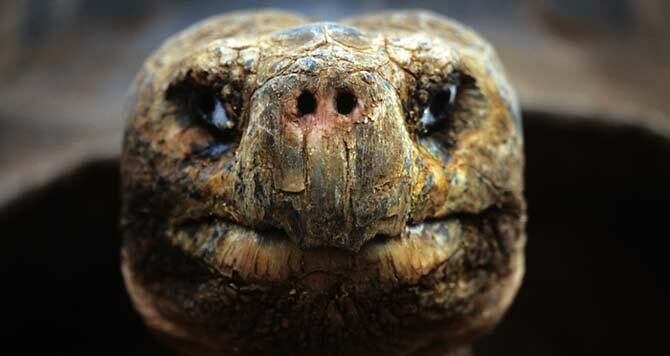 Among vertebrates, the tortoise is one of the longest living animals on our planet. Unconfirmed reports talk of the tortoise living for as many as 400 years, and it is not unusual to find a tortoise like Jonathan, that is 182 years old. Much of the science of yoga was gained from watching nature and her creatures. Ancient saints and sages noticed that animals with low respiratory rates, like the tortoise, but also like the elephant, and the other animals listed in the chart below lived longer life spans with a controlled, long breath. You will also notice, though, that as the speed of respiration increases, the life span of the animal shortens. Though there are animals on our planet that live even longer, like sponges and sea clams, that can live for more than 400 years, humans are often thought to be relegated to a lifespan of around 70 years – and that’s when all key indicators of life or life force are excellent. Part of this ‘control of the senses’ refers to the control of the breath. Though there are many practices in yoga – from meditation to yogic postures or asana, which can help to keep the body well and vital for many years, perhaps non among the yogic practices is as important for the extension of life as learning to control the life force through pranayama. Pranayama is a Sanskrit word that means literally life force, or an unseen energy, which runs like currents through the body ‘prana,’ and ‘ayama’ which means control, or extension of the life force. Just having an increased life force, without knowing how to control it, is rather useless, according to yogic wisdom. It can take an entire lifetime to master all the breathing techniques or ‘control of life-force techniques’ offered through yogic science, from Samavrtti, Ujjayi, Kumbhaka, Anuloma Viloma, Kapalabhati, and Sithali, and more, but alternate nostril breathing, or Nadi Shodhana also called Anuloma Viloma, has been scientifically proven to increase life span. When the respiratory rate decreases the heart doesn’t have to work as hard to pump blood throughout the body. Our nervous system then calms down and takes a much-needed break, also. You can think of it like the conservation of energy in physics, or putting fewer miles on your car so it will last longer. Furthermore, one of the absolute key indicators of life span is the resting heart rate. Alternate nostril breathing has been proven to lower the resting heart rate, and thereby expand life span – of course allowing for unexpected events like getting hit by lightening or falling from a ten story building. The natural life-span as we know it, however, does indeed increase when we practice this simple breathing technique. These facts are corroborated by several scientific studies. A Danish study, for example, published in Heart, suggests that a higher resting heart rate is an independent predictor of mortality — even in healthy people that are in great physical condition. Danish researchers gave physical exams to 5,249 healthy middle-aged and elderly men beginning in 1971. In 1985 and 1986, they tracked survivors, of whom there were 3,354. Of these, 2,798 had sufficient data on heart rate and oxygen consumption for the analysis. Researchers followed them through 2011. After controlling for physical fitness and many other health and behavioral factors, they found that the higher the resting heart rate, the greater the risk for death. Men with a resting heart rate of 50 beats per minute or less compared to those with 71 to 80 beats per minute has a 51 percent greater risk of mortality. At over 90 beats per minute the risk tripled. That’s where pranayama comes in, and specifically alternate nostril breathing. Not only does this breathing practice “increase cardiac autonomous modulation” (a long-winded way of saying, help out the heart and sympathetic and parasympathetic nervous systems) but it also lowers the resting heart rate. It gives profound rest to the entire physical and energetic system, while also invigorating it. Sit comfortably with your spine erect and shoulders relaxed. If you can, sit unassisted, but the most important thing is to keep your spine long so the energy you create through your breath can move up and down your spinal column, called the sushumna in yoga. It may help to do some simple yoga asana before sitting to breathe. Swamij.com has a great lesson on the sushumna for those who want to learn more. Place the tip of the index finger and middle finger of the right hand in between the eyebrows, the ring finger and little finger on the left nostril, and the thumb on the right nostril. The last two fingers (ring finger and little finger) are used to open or close the left nostril and thumb for the right nostril throughout the practice. Press your thumb against the right nostril and breathe out gently through the left nostril. Breathe in from the right nostril and exhale from the left. You have now completed one round of Nadi Shodhan pranayama. Continue inhaling and exhaling from alternate nostrils. Complete as many rounds as you can by alternately breathing through both the nostrils. After every exhalation, remember to breathe in from the same nostril from which you exhaled. Keep your eyes closed throughout and continue taking long, deep, smooth breaths without any force or effort. I find it helpful to envision I am breathing in the shape of a rainbow to make the in-breath and out-breath consistent. You can also watch this video on how to practice Alternate Nostril Breathing – and start enjoying a longer life.